Not everyone knows Al Schmitt. Which is ok. Engineers and producers are predominantly not on the forefront and therefore a bit unknown to the general public. But if there is one man that literally has a legacy and you just HAVE to know, it is Al. Grammy award-winning and legendary recording engineer Al Schmitt talks about Capitol Studios, and Masters of Maple. So how do we describe Al Schmitt? For a man with a track record like his, it is a difficult question. Or maybe we talk about Al Schmitt who is an analogue man at heart, but embraced the adaptation to the times, and would do A-B sessions — recording simultaneously on his computer and on reel-to-reel tape — until finally, even he could not tell the difference between the two. The man, who definitely knows what he is doing, preferring live recordings (in the studio) overall, and seriously learned how to get the most out of an instrument and how to place people in the room to capture the best sound with as few microphones as possible. “So basically, what I do is acoustic; it’s microphone technique”, Schmitt explained. We could talk about the man who works at one of the world’s best recording studios, Capitol’s recording studio in LA. (With the famous echo chambers designed by guitarist and sound expert Les Paul). Or the one who is living in LA for over 30 years and yet he is still a New Yorker. Not just because of the accent, but also the lively energy. The one and only Al Schmitt who stepped into the studio at the age of 85 with 73 years old Bob Dylan in 2014, where both legends did everything possible to synchronise their schedules, just to make sure they could tick another box on their ‘people I’d love to work with’ bucket lists. Where they recorded and mixed Dylan’s album of Sinatra covers, Shadows in the Night, which was so good, in fact, that it did not need mixing! I guess you get the drift. We let you decide for yourself what your favourite Al story is. And below you will find some videos we would like to share with you, just to make sure you understand who we are talking about. 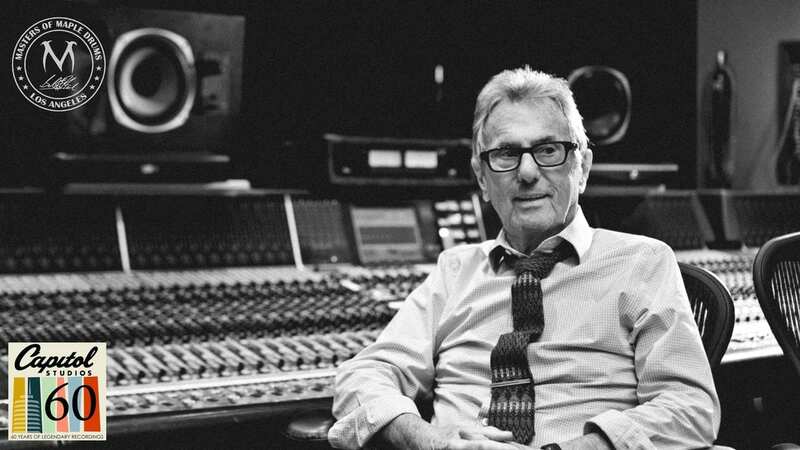 Al Schmitt is coming to Abbey Road Institute Amsterdam on the 20th of April, to give an exclusive masterclass about recording and mixing to its students. Due to the number of people and time available, this masterclass is for students only. However, we will share (some) video and photo content on the Facebook page. “We have been listening to Al Schmitt for decades.